Rank and Organization: Corporal, Co. D, 10th Vermont Infantry. Place and date: Monocacy, MD, 9 Jul 1864. 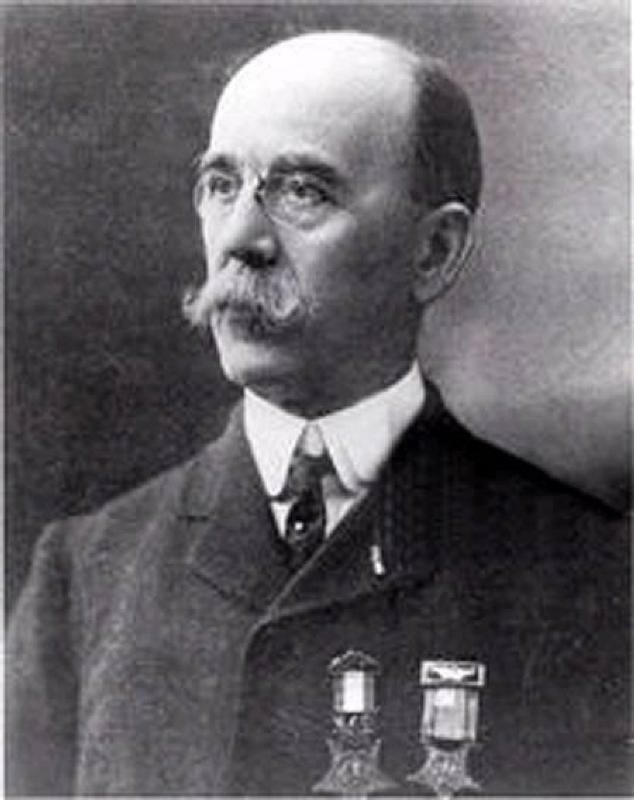 Born: 19 Aug 1844, Montreall, PQ, Canada. Died: 27 May 1923, Washington, DC. Date of Issue: 28 Sep 1897. NARA File Number: R&P 492840. 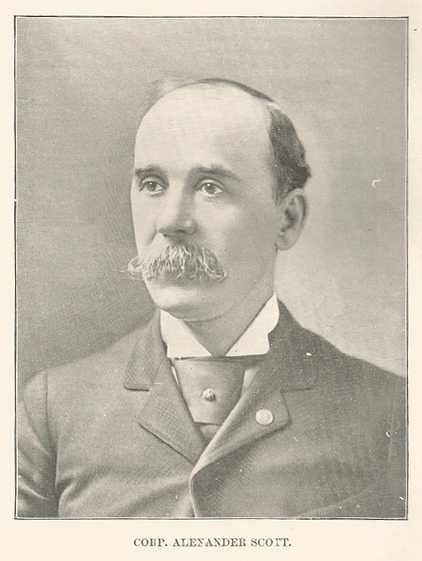 Alexander Scott, only son of Alexander and Mary Ann (Day) Scott, was born in Montreal, Canada, Aug. 19th, 1844. His parents moved to Burlington, Vt., in 1850; here he received his education at the public schools. His father enlisted in Co. I, Fifth Regiment, Vermont Volunteers, at the organization of that company, in Burlington, Vt., in 1861, and died in hospital at Annapolis, Md., Oct. 19th, 1862 [of chronic diarrhea]. On the Potomac, in Maryland, above Washington, in 1862, he was selected for responsible duty - to prevent rebel sympathizers signaling across the river to White's guerrillas, and in pursuit and arrest of rebel spies in the vicinity of Sugar Loaf Mountain, Md. In the night after the battle of Orange or Locust Grove, Nov. 27th, 1863, he accompanied the Captain of his company in search of a Surgeon to attend a wounded Sergeant of the company, and in the darkness they lost their direction, and wandering in the woods took our works for the rebel front, when he, to save his Captain the risk of capture, crawled up and ascertained that they were outside of our lines and in front of our own works. He now joined the Color Guard and served with it until mustered out in 1865. He was with the colors in every engagement until disabled by a wound in October. 1864. At the battle of Monocacy, Md., July 9th, 1864, when the regiment was ordered to fall back in the face of the enemy under a heavy fire, had crossed a corn-field and was ascending a steep hill in full view of the enemy, the Color-Sergeant, becoming exhausted, gave Scott his flag, saying he might be taken, but Scott should save the color, and soon the Color Corporal gave out and Scott took and carried both flags until the Color Sergeant reported for duty on the 15th. At the battle of Fisher's Hill, Va., Sept. 22d, 1864, Corporal Scott, with the Color Sergeant, was the first over the rebel works on our portion of the front. At the battle of Cedar Creek, Va., Oct. 19th, 1864, at about 9 A. m., when the regiment charged to recapture the guns of Battery M, Fifth Artillery, he was knocked down, as he reached the guns, by a rifle ball striking his left shoulder after passing through all the folds of his blanket roll, and the shock for the rest of the day disabled his left arm. 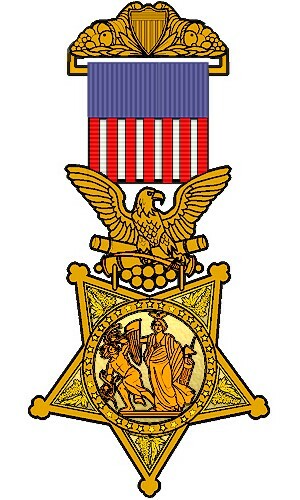 In the afternoon, on the charge which dislodged the rebels from the stone wall in the open field, and while rapidly advancing, the colors being far in advance of the regiment, and he was in touch with the Color Sergeant, he was shot in the thigh bone and fell, and the Color Sergeant was also presently killed at the same place. 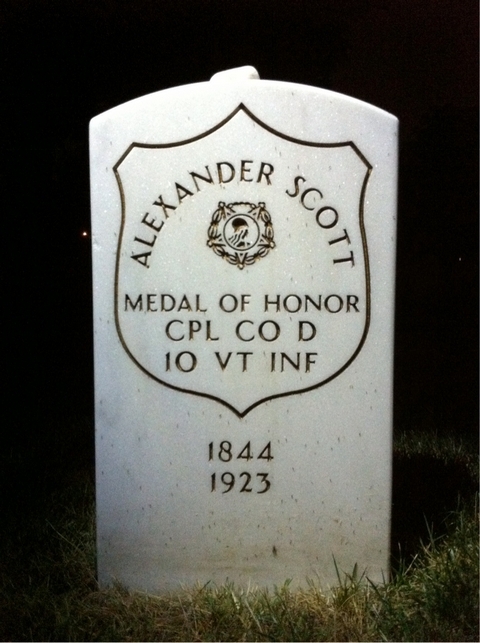 This wound disabled him for duty until April, 1865, when, though still suffering from his wound, he rejoined the regiment, and served with it until it was mustered out in June 1865, and during all the above period with the Color Guard, Corporal Scott refused promotion for the honor of remaining in that important and hazardous service. After the war, he was engaged as a clerk in the firm of Hungerford & Wainwright, in Burlington. In 1866, he moved to Flint, Mich., where he was engaged in the lumber business. In 1870, he moved to Washington, D. C, where he received an appointment as draughtsman in the U. S. patent office. In 1875, he was promoted to skilled draughtsman, and in 1882, to Assistant Chief of the Draughtsman's Division, his present position. He inspects all drawings filed in the office, has charge of all drawings made, and all questions on this subject are referred to him. In the Grand Army of the Republic , he is a member of Lincoln Post No. 3, District of Columbia; has served as inspector and as aide-de-camp on the staff of the Department Commander. In his Preface, Haynes acknowledged "Corporal Alexander Scott, U.S. Patent Office, for superintending the engraving of maps, for engraved frontispiece and devise for cover."